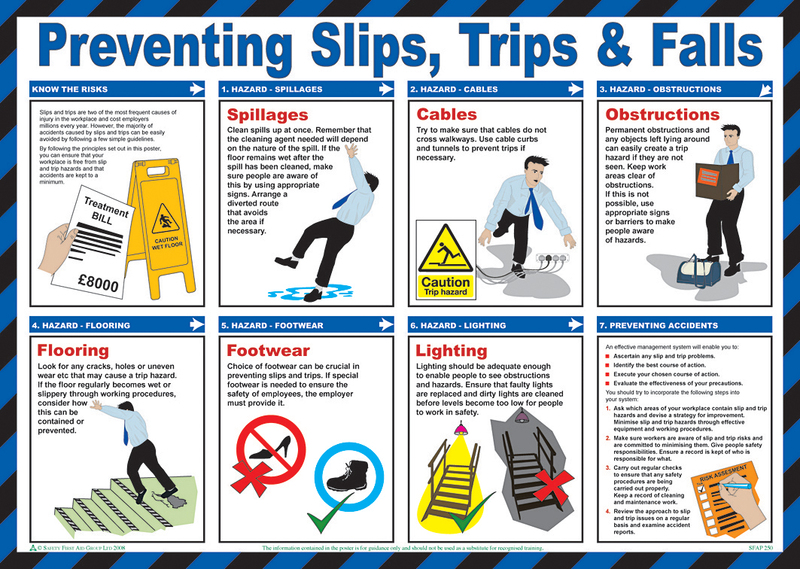 Preventing, Slips, Trips & Falls Safety Poster. User-friendly text and clear instructions show employees how to prevent accidents and injury whilst maintaining a healthy working environment. Durable laminated construction with full colour illustrations. Compiled by qualified health & safety practitioners. Sign Text: Preventing, Slips, Trips & Falls Safety Poster. Protect Your Employees And Avoid Costly Accidents. This item is available for standard delivery in 3-5 working days. This item is available for standard delivery in 3-5 working days.